This free course has been the favorite amongst my sewing friends. It's perfect for absolute beginners, it teaches coordination without doing anything difficult and its FREE! 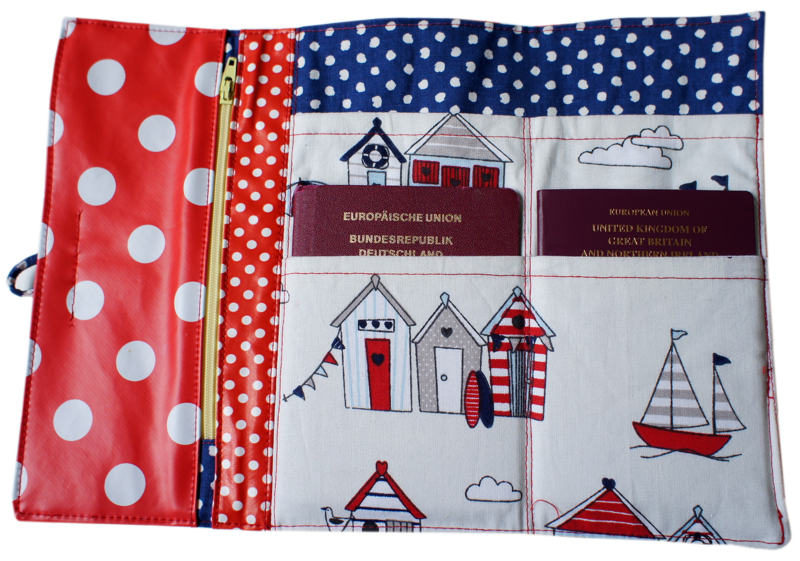 The travel wallet was something I designed so we could introduce our course members to sew accurately without scaring them off! 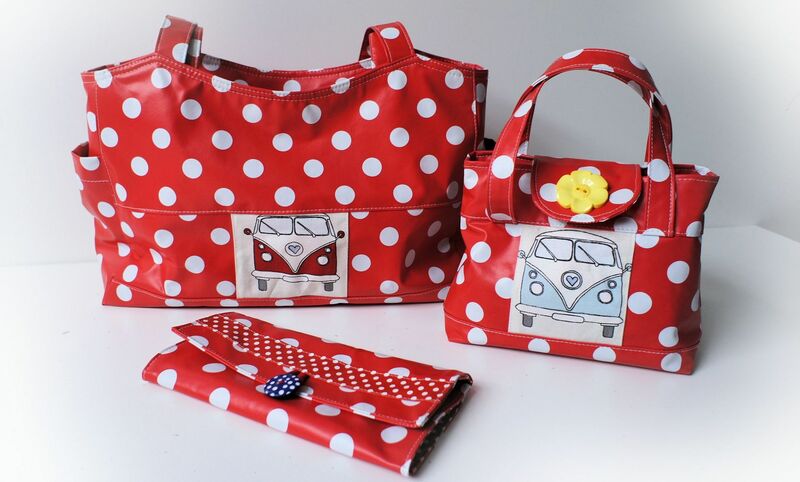 It also was a great project to go with the handbags I was doing at the time. Together it was the ultimate combo and I made lots of matching sets for practice and my another lady from our course sold them on the craft market. They were gone by the end of the morning, so we knew this would be a lovely treat for everyone. Just look at this lovely combo. Out & About bag, Mary Lou tote and the free travel wallet. A proper mummy and me project. I used just tablecloth for these bags, at a cost of $3.00 a meter. It was a cheap project, I spend more on the zip and closures than the fabric! 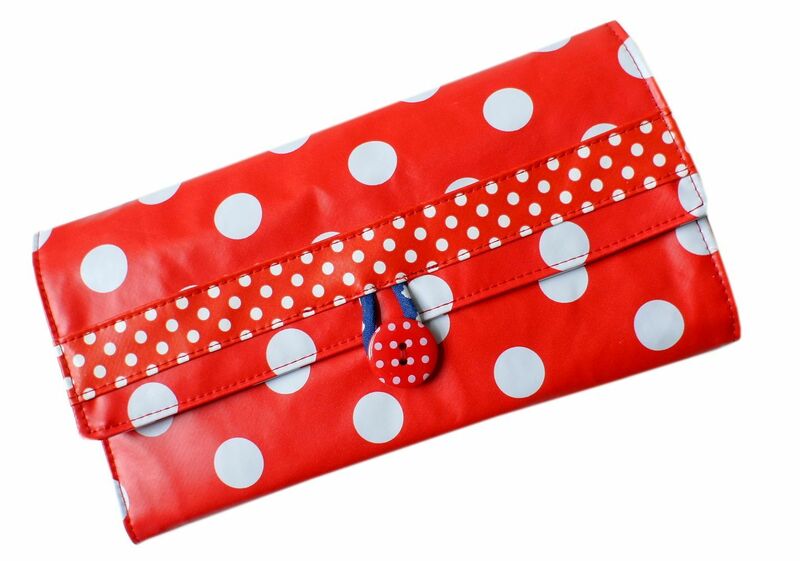 Maybe you have noticed by browsing through this site there is an awful lot of red and polka dots. Both are my favorites and here they came together perfectly. On the inside of the wallet you find four passport slots. There is also a zip which opens up the entire inside of the wallet. Ideal for travel print offs making sure your boarding pass is save and ready to go. I actually put all my print out documents in there, like the hotel and car reservations. In short it is very useful!